Couples Class with facilitator Donnel Miller-Mutia begins September 30th! Still time to register. More info here. The Bishop's Visitation in on Sunday, October 14th! The Household of St. Thomas of Canterbury is one with the body of people who have responded to God acting in history to restore the broken relationship between God and humankind. Ever since the revelation of God in Jesus Christ, the primary vehicle of this response has been the doing of the Liturgy to celebrate God's presence among us in every generation. Therefore, to present ourselves to the world as a worshiping community, we of this Household have organized under the discipline of the Episcopal Church and the laws of the State of New Mexico. September 16: Aroop Mangalik, MD, author of Dealing with Doctors, Denial, and Death will be with us to discuss with us "aid in dying." There is a bill being considering before the New Mexico legislature that frees physicians from prosecution who respond to requests to assist hastening death. Here are two suggestions to read before this presentation: 1. from Dr. Mangalik's book, on medical ethics 2) The Washington Post's recent article on Belgium's assisted death experiences. Some New York Times recent articles on this topic: A Debate over Rational Suicide, and Could I Kill My Mother? Many, many thanks for the Sandwich Masters who made this past Sunday's St. Martin's / Hopeworks brunches. Their photos grace this edition of Canterbury Communications. Thanks! Our third-annual Craft Fair is scheduled for Saturday September 29th. We need more crafters to register to show us and sell us their treasures. Interested persons should contact either Edwina Beard or Laura Hughes, and read and complete the info/application/flyer here. Bishop Vono will be with us on Sunday, October 14. WE WILL HAVE ONE SERVICE THAT DAY AT 9 AM. The bishop with confirm Alex Miller-Mutia, Elizabeth Maynard, Peter Rogers and Marcus Keithley. Following the service we will have a sit-down brunch (church will provide an egg dish; everyone please bring something to share if you can). Following the breakfast the bishop will meet with the Vestry, as is his custom. Eileen Lambert is organizing this fête. Church School will begin this new School year this Sunday, September 9th, at 10AM. Please join us in Becket Hall for stories and crafts! Any questions? Please call Pat Eads at 980-4960. A huge thanks to Diana Melendres for hosting the coffee hour after last Sunday's 10:00 service. Diana is a vestry member and 8:00 worshiper, and yet she served up a lovely and perfectly-suited table of snacks for all of us 10 o'clockers. If you are interested in hosting coffee hour or partnering with others to host, please contact Anne Marie Werner-Smith at am.wernersmith@gmail.com and let her know. Frederick Frahm will be the substitute organist for Edwina Beard during her leave of absence from October 1 to December 31 (except October 14 when Patricia Oakley will be with us). Learn more about Frederick here. Our Southwest Deanery will have our farewell celebration for Bishop Vono on Saturday, October 20, from 1 - 3 PM at St. John's Cathedral. Light snacks and refreshments will be served. Canterbury is adding two pages to a scrapbook our deanery is presenting to Bishop Michael. Anne-Marie Werner Smith, Pat Eads and Ruth Meredith are pulling our pages together. THEY ESPECIALLY NEED YOUR PHOTOS OF CAROLE MCGOWAN, LYNN LILLY and BISHOP VONO AMONG US. Any photo showing our vibrant life at Canterbury will be considered for inclusion! Please get pics in a digital format to Ruth as soon as possible as our pages are due to our deanery compiler September 16! Our Season of Creation liturgy continues. "The world is the Lord's, and all that is in it," says Psalm 24. Christians are increasingly aware that our biosphere includes so many more creatures of God than human beings, and so much more earth than the place we stand, or the plot given to us to steward. "O Lord, open our eyes to see your hand at work in the world about us," Eucharistic Prayer C, the Book of Common Prayer. It's Back at Canterbury starting Wednesday! Intercessory Prayer, 11 AM; Eucharist, noon - 12:40, with discussion of the up-coming Sunday's scriptures. Prayers: contact Warden Warren; Eucharist, contact priest-in-charge Ted. Nine or so churches in this area of our city are forging ahead with plans to hire an MSW social worker specifically to work with the homeless and precariously-housed souls that comes to our doors. ABQ Faithworks is the group's new name! There will be a one-year pilot, funded by the churches and by the City of Albuquerque, with Heading Home providing supervision and support for the social worker. The idea is for this to be replicated in other corners of the City. Anne McCormick has been doing the heavy lifting for Canterbury's leadership in this endeavor. She has submitted a proposal to the diocesan Poverty and Outreach Board for a grant of $5000, to be used for expenses other than salary. Please provide a nourishing meal for our Sunday evening Todos service. Go to this link and sign up for a Sunday. About half Todos attenders are on limited incomes (e.g. students, recent grads, honored citizens). Currently we have twelve to fourteen participants. Thanks so much for your generosity. Come to Todos Sunday evenings from 5 - 7 PM. Dinner and fellowship 5 PM, relaxed, relevant worship from 6 - 7 PM. Todos is the Episcopal offering in the joint campus ministry we share with the Evangelical Lutheran Church, called "Luther-bury." You are invited also to Luther House on Wednesdays from 5 - 7 PM for a meal, fellowship and eucharist. Priest-in-Charge Ted will be presiding at that service next Wednesday. SUPPORTED Anne McCormick and Amy Malik submitting a request for diocesan Poverty and Outreach funds for Amy's Empowered Women's program. ENDED the meeting with a prayer by the Senior Warden. The next meeting is Sunday, September 16 at 11:30 AM. Please contribute to Canterbury's gift for our in-coming bishop Michael Hunn. It is customary to present a new bishop with gifts and accoutrements for his/her new role. The Diocese of the Rio Grande has designated a special donation fund through which such gifts and accoutrements may be acquired. Make checks payable to Canterbury, memoed Bishop Hunn. The Vestry will add $200 to the pot and send it all to our diocese for the collective gift. Please do this ASAP. Contact Treasurer Dave if you have questions. Ricky Halliburton is raising money to go on a medical missionary trip to Niger. He will be there under the auspices of the Link Branch of Effective Ministries. He asks you write checks payable to Effective Ministries and hand them to his mom, Linda Hixon. He needs to raise $3,771. Please hurry and join the Circle of Hope today. Our clients depend on your longstanding support of our mission!" Fall 2018 Bishop's Diaconal Initiative: Continuing the work begun at our 2017 Diocesan Convention to assist our Rio Grande Borderland Ministries, the deacons of the Diocese of the Rio Grande are collecting items urgently needed for individuals and families in our border region, and sending these items to our parishes in that area. The list of needed items is very specific; please read this carefully. YOU MAY YOUR DONATIONS TO THE BOSQUE CENTER. 66th Annual Convention of the Episcopal Diocese of the Rio Grande will be October 31 to November 2 here in Albuquerque. Our delegates are Anne-Marie Werner Smith and Joe Lane. At this convention we will say farewell to Bishop Vono, and say hello to Bishop-elect Hunn. New Mexico Interfaith Dialogue will be Thursday, September 20, 5:30 - 7 PM at Nativity of Blessed Virgin Mary Catholic Church, 9502 4th Street NW. What does your religion say about the afterlife? What do you believe? • Sunday October 14th: Bishop Vono's Visitation: Baptisms, Confirmations, Reaffirmations. See Fr. Ted. • Saturday, October 27: Halloween / Dia de los muertos party. Stay tuned! Please pray for those on the Camino towards confirmation when Bishop Vono is with us on October 14: Peter Rogers, Alex Mutia-Miller, Elizabeth Maynard, Marcus Keithley, and those who provide guidance along the path. Thanks to an ongoing pattern of faithful stewardship at Canterbury, we continue to run a surplus budget for 2018. If we continue to show a surplus through the end of the year, that surplus will be put to good use--to further support outreach efforts, and to replenish our nearly depleted building fund. Thanks you for your ongoing generosity. Questions about Canterbury's finances? Contact Treasurer Dave Tod at stctreasurer@gmail.com anytime! We are looking for people to host coffee hour after the 10:00 service. See the sign-up sheet on the bulletin board in Becket Hall, and contact Eileen Lambert at 265-2269 or rangerpecos@yahoo.com for additional information. We've started a DVD lending library at Canterbury! For the natural beauty of this place where we live and move: ABQ. PLEASE REMEMBER TO LOG YOUR HOURS OF SERVICE ON THE SHEET IN THE CHURCH OFFICE! This helps us have a holistic picture of stewardship at Canterbury, and an accurate understanding of what it takes to run the church! Looking for a house sitter? Contact Canterbury member Ruth Meredith 358-5772; ruthmrdth@gmail.com. The 2018 Pilgrimage for Unity is the 20th to the 23rd of September. Thirty-three participants from six different Christian traditions will walk starting at Ghost Ranch and ending at the Sanctuario de Cimayó. Rector Sylvia is walking; Warden Warren in on the support staff. Alas, registration is no longer open for this ecumenical bridge between denominations, but your prayers are coveted and appreciated for this call from Jesus "that they all may be one." Some come for just an hour, some come for the whole three hours. This is not a protest; it is a vigil and a prayer. We are keeping watch for these children so that they will not be forgotten. This is a COLLECTIVE PRAYER and we do it with song and dance and drums and art and chalk art and holding a sign and just coming together with our prayer and intention for these children. Each week we bring communion from our Sunday Eucharist to the sick and homebound. If you would like to join our team of Eucharistic Visitors, or if you desire a visit or other pastoral support, please contact Ted+ at interimted@gmail.com or leave a text or voice message at 505-247-2515. To submit a prayer request to the Canterbury Prayer Group, simply email canterbury_prayers@googlegroups.com. It takes many hearts & hands to make our liturgies happen each week! EVERYONE--newcomers and experienced leaders, youth and adults--is welcome and encouraged to get involved. Simply sign up on the schedule posted in the entryway. Add your name wherever there's an opening. If you need information or training for any ministry, just ask! Canterbury Communications is published each week, and distributed via email. The deadline for submitting articles or information to be included in the publication is Sunday at Noon. 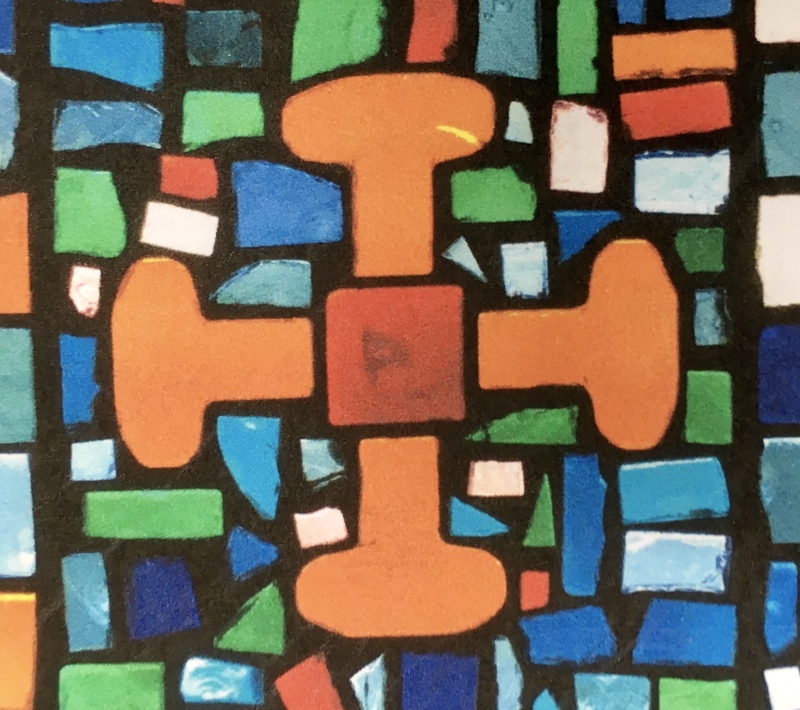 Links to recent vestry meeting minutes, financial reports, and committee reports to the vestry can be found on the website at the top our Vestry Page. Current info about church finances can be found on our Stewardship & Finance page.